Aug. 17, 2016, 12:32 p.m.
By Shan Wang @shansquared Aug. 17, 2016, 12:32 p.m.
We’ve taken our special engagement events to new levels with the Tiny Desk Contest and Generation Listen. This year’s Tiny Desk Contest received more than 6,000 entries and introduced the world to winner Gaelynn Lea. Meanwhile, our journalists regularly visit Generation Listen gatherings, connecting with the next generation of public radio fans at NPR Member Stations around the country. We have an entire team devoted to Audience Relations, who read and personally respond to thousands of listener emails every month. This indispensable forum fields your most substantive feedback and questions and allows us space to provide equally substantive answers. Our help.npr.org site works across platforms and is always open for your questions and concerns. In coming weeks, in addition to refining our live interaction approaches on Facebook, we’ll begin testing a promising new engagement tool that is rooted in public media. Hearken is a digital platform that allows journalists and the audience to partner on the development of story ideas and it’s already in use at dozens of NPR Member Stations. We will be bringing Hearken to our Goats and Soda blog on global health and development with the potential for expansion in the future. 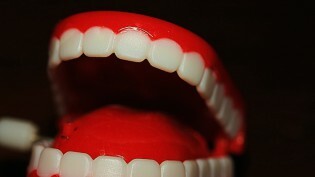 Just 4,300 users posted about 145 comments apiece, or 67 percent of all NPR.org comments for the two months. More than half of all comments in May, June and July combined came from a mere 2,600 users. On Twitter, the news was greeted mostly positively, though some expressed concern about the increasing influence of social media platforms. The comments sections of Jensen’s and Montgomery’s posts, though, pretty much speak for themselves. POSTED Aug. 17, 2016, 12:32 p.m.
Wang, Shan. 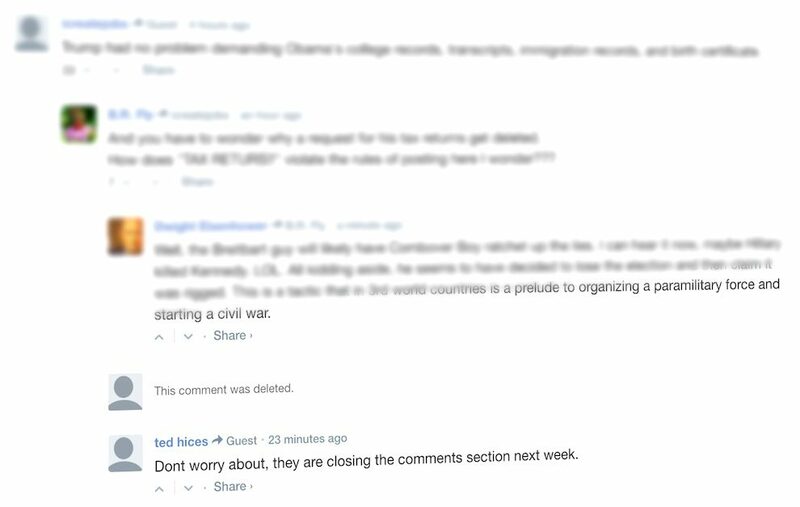 "NPR is retiring the comments section on its story pages (because of disuse, not just garbage fires)." Nieman Journalism Lab. Nieman Foundation for Journalism at Harvard, 17 Aug. 2016. Web. 19 Apr. 2019. Wang, Shan. "NPR is retiring the comments section on its story pages (because of disuse, not just garbage fires)." Nieman Journalism Lab. Last modified August 17, 2016. Accessed April 19, 2019. https://www.niemanlab.org/2016/08/npr-is-retiring-the-comments-section-on-its-story-pages-because-of-disuse-not-just-garbage-fires/.